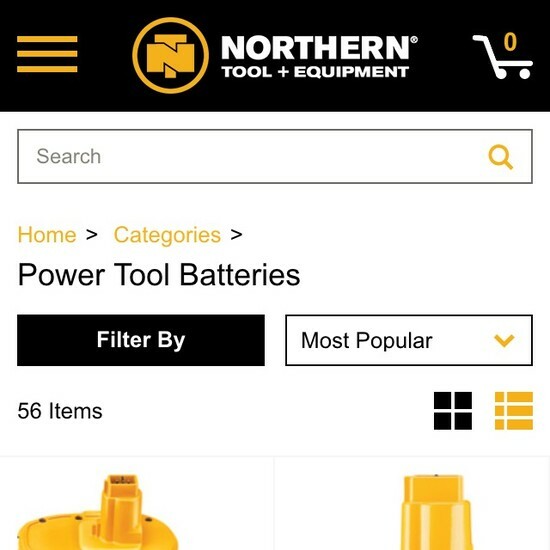 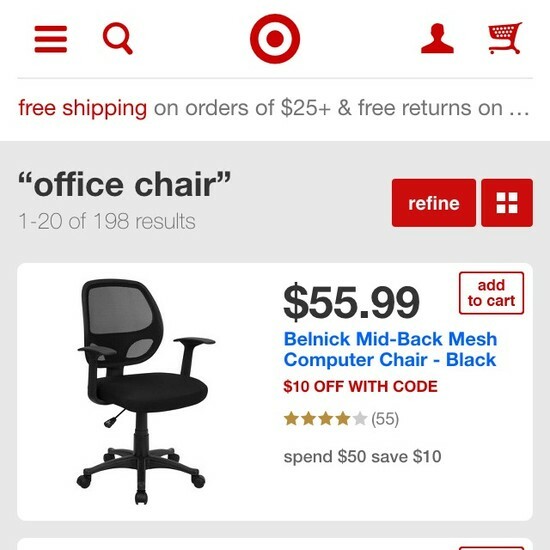 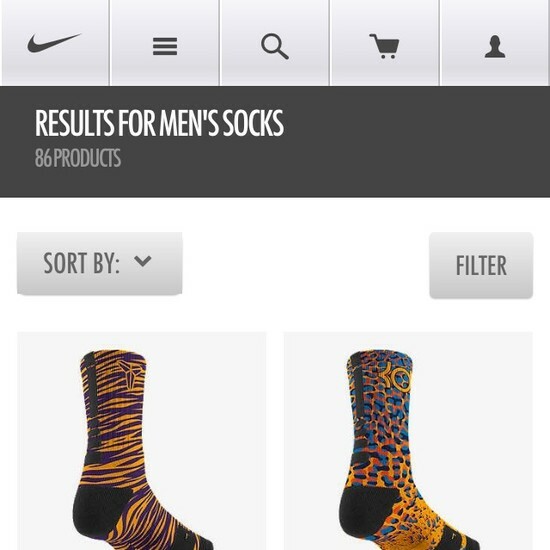 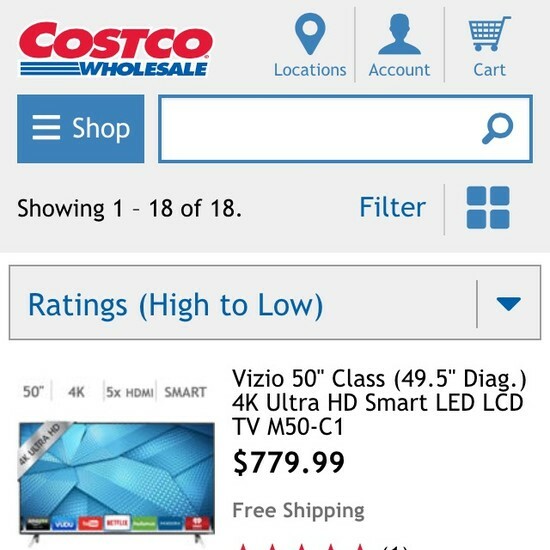 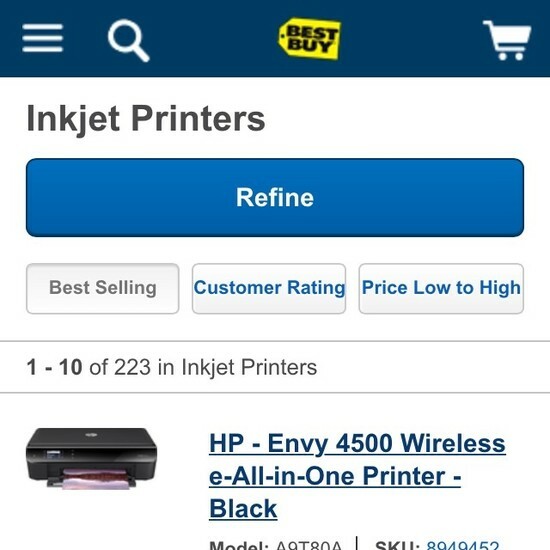 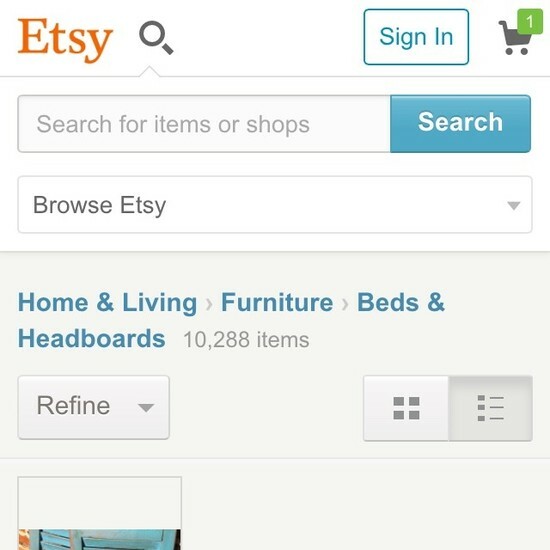 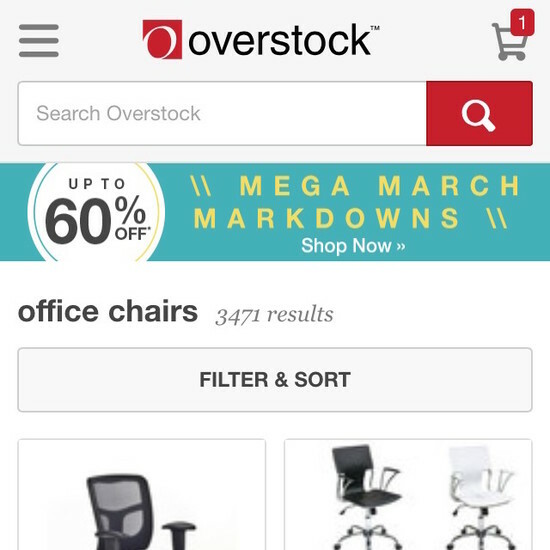 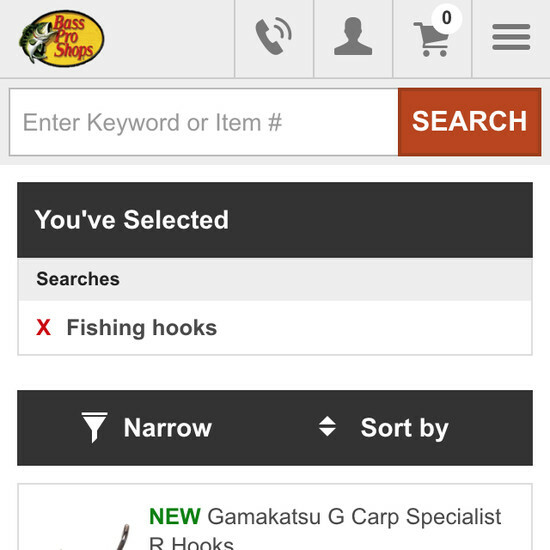 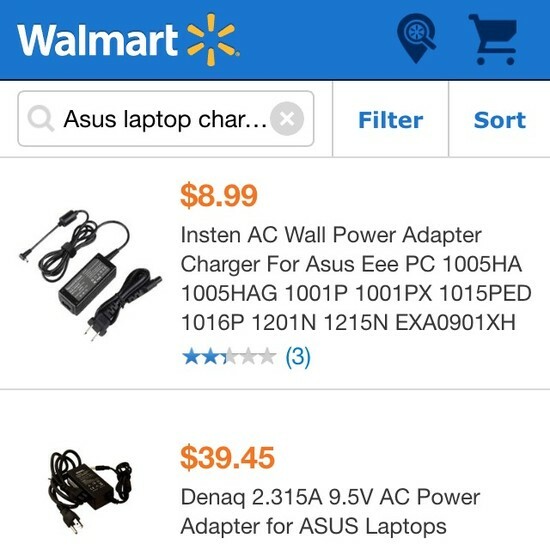 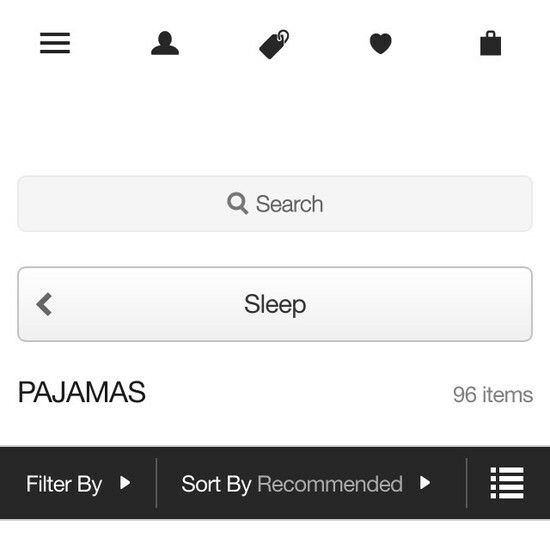 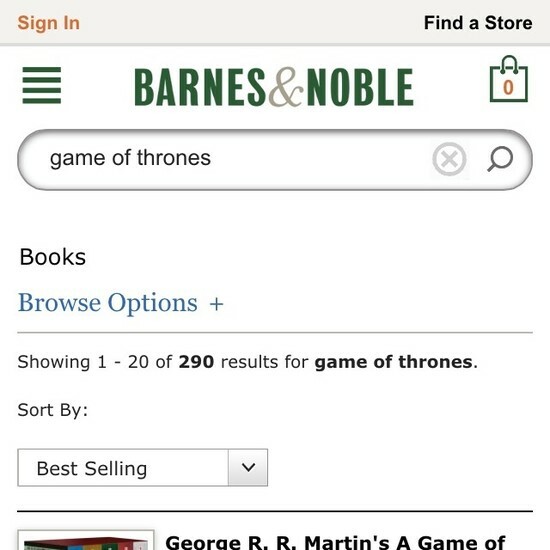 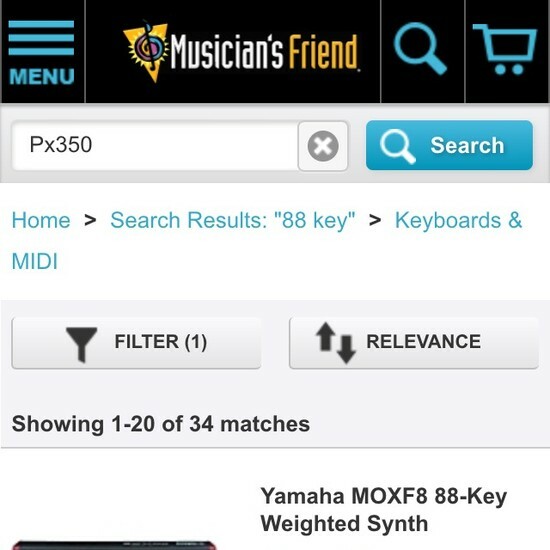 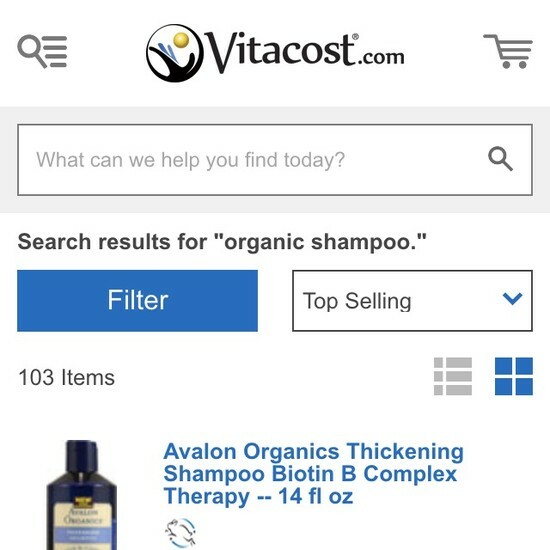 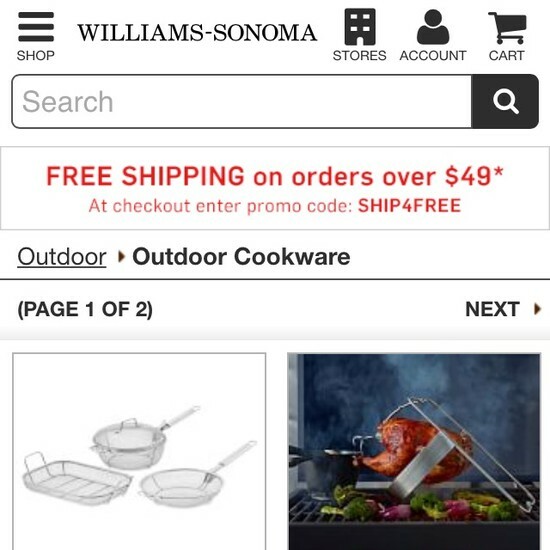 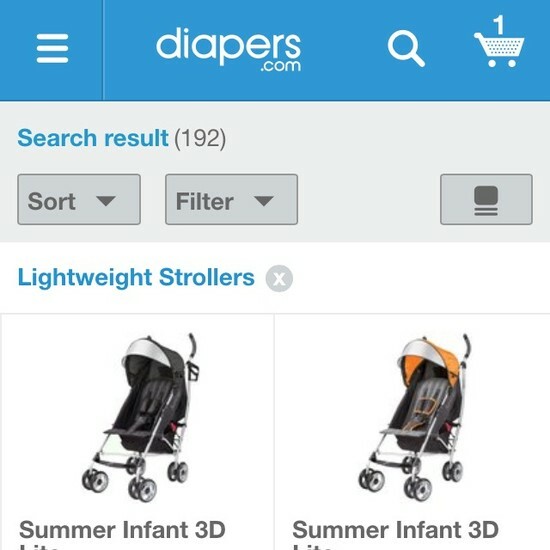 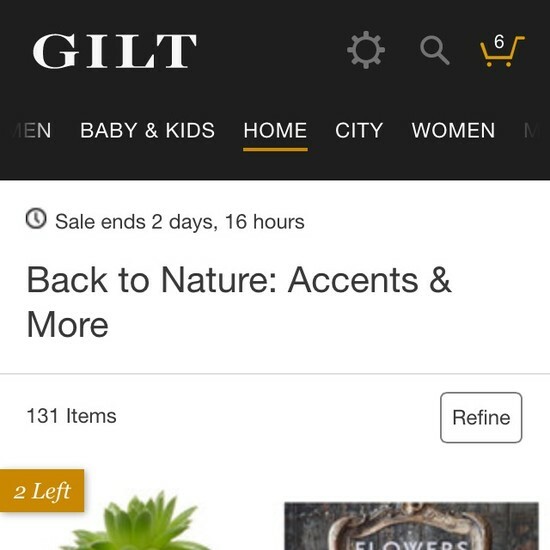 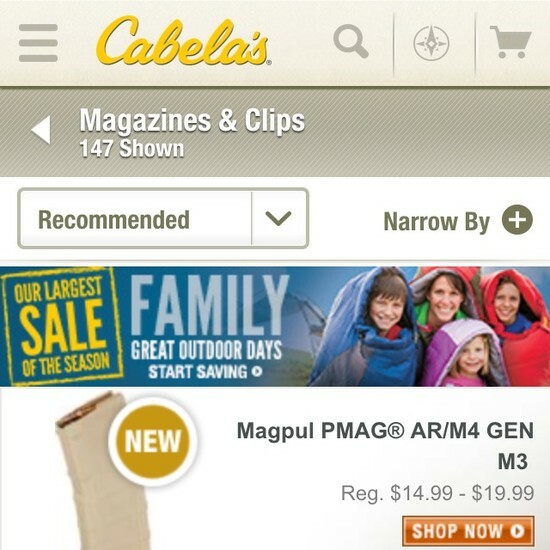 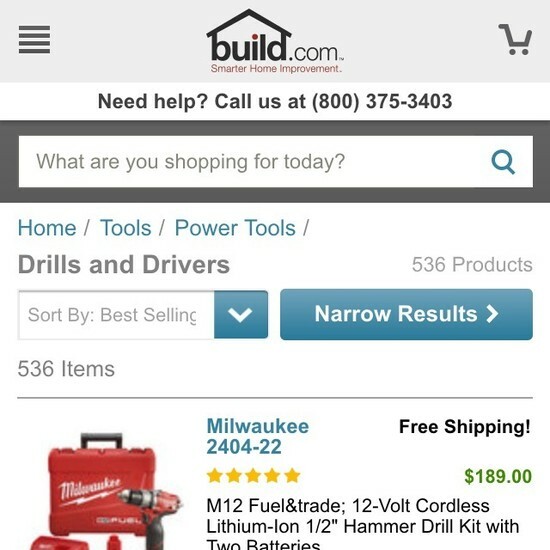 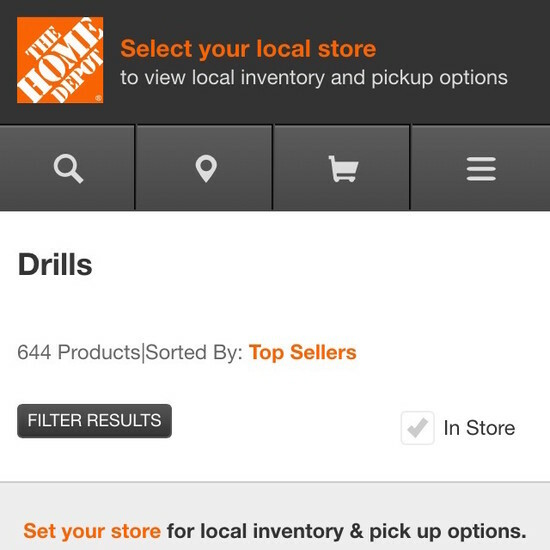 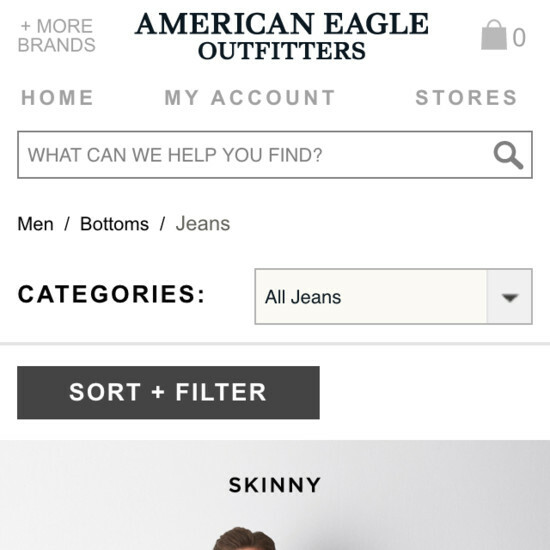 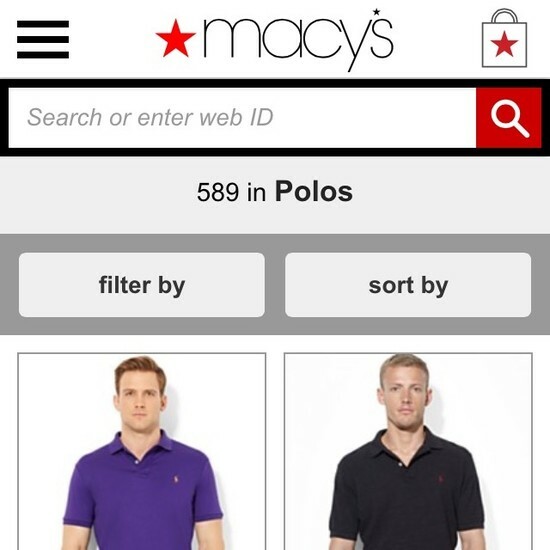 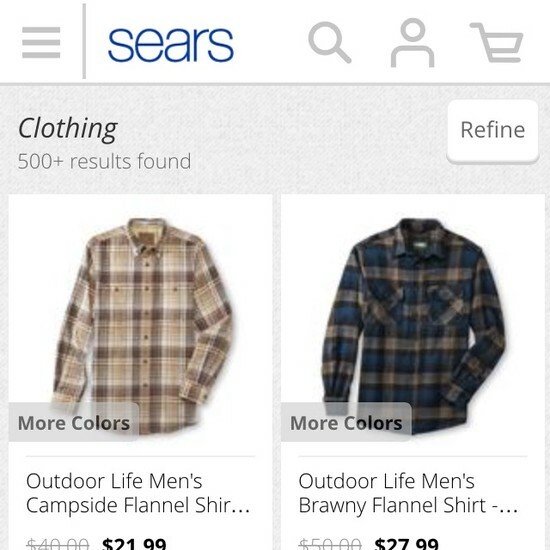 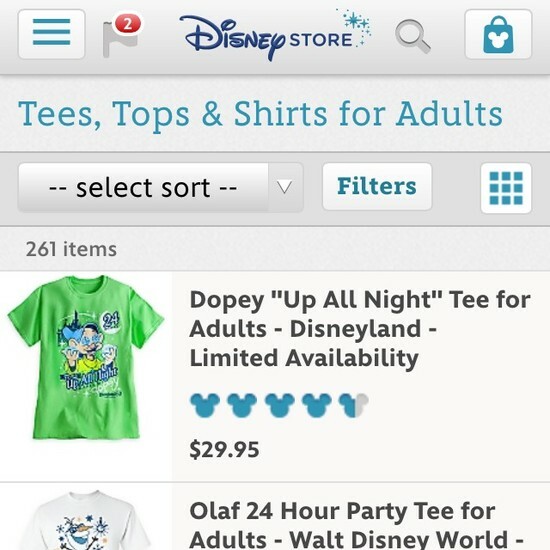 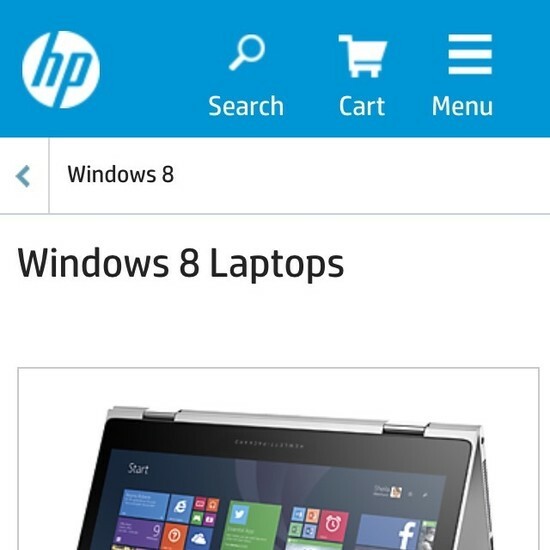 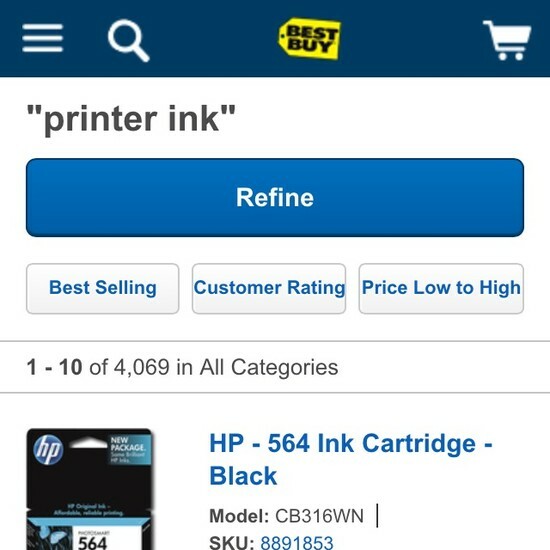 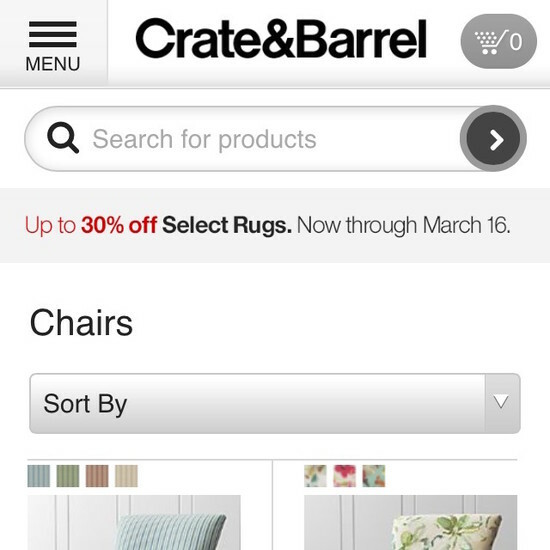 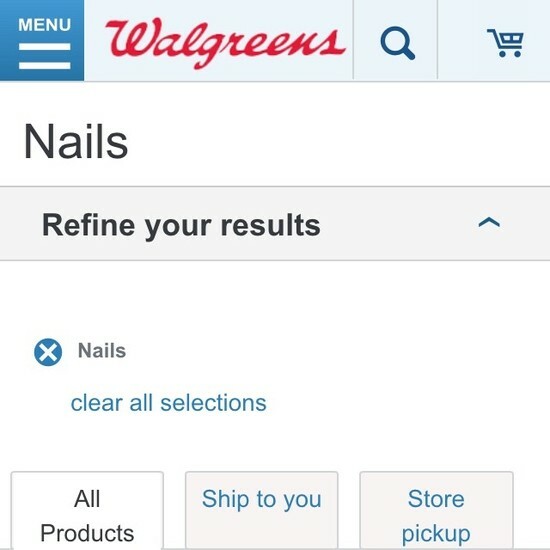 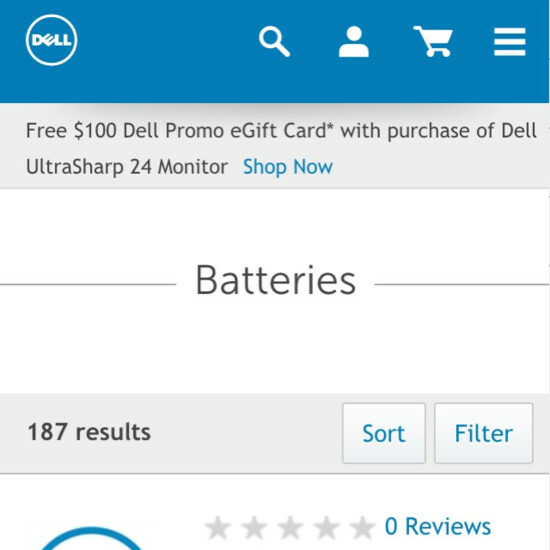 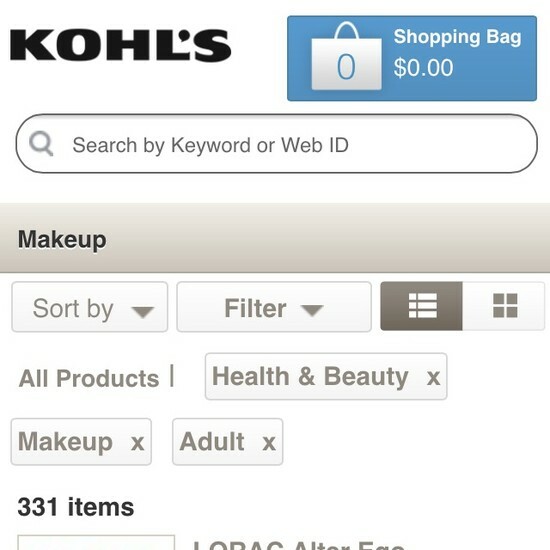 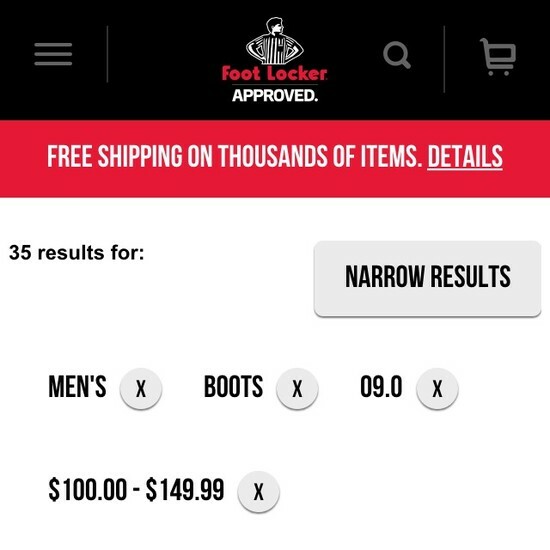 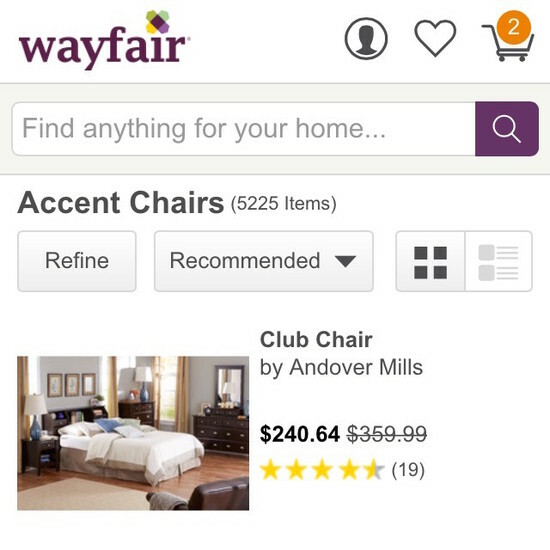 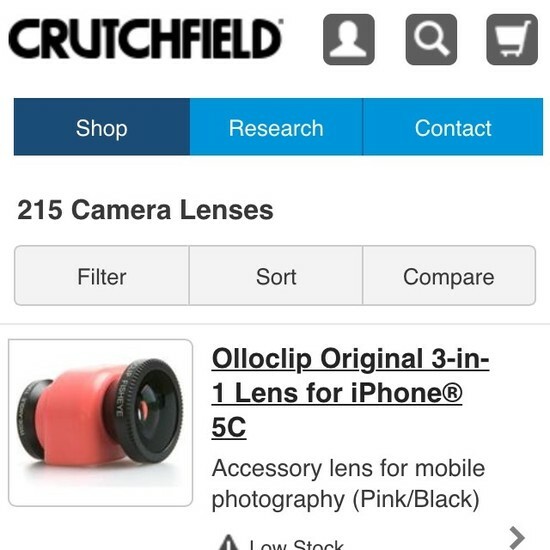 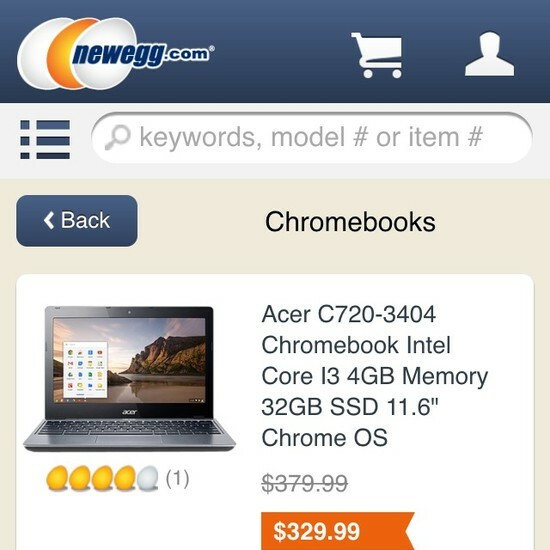 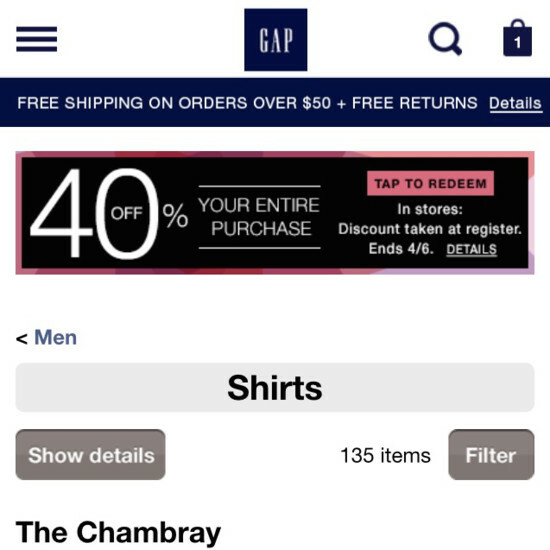 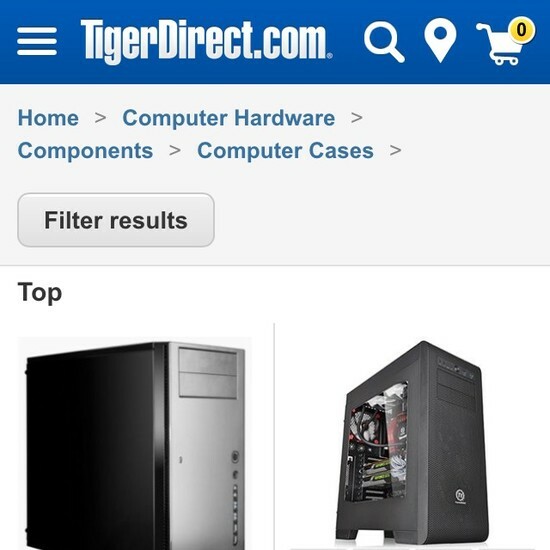 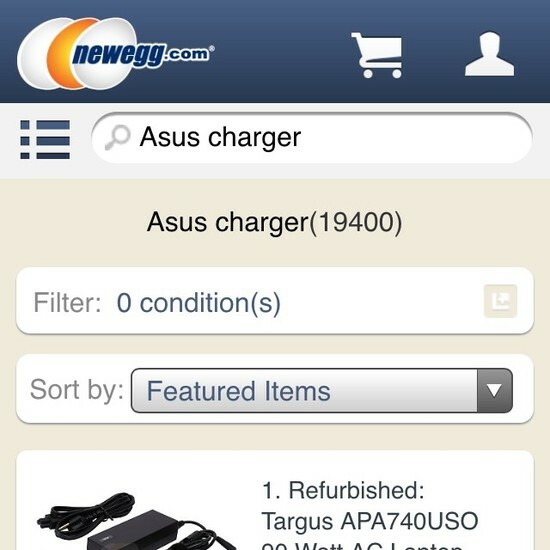 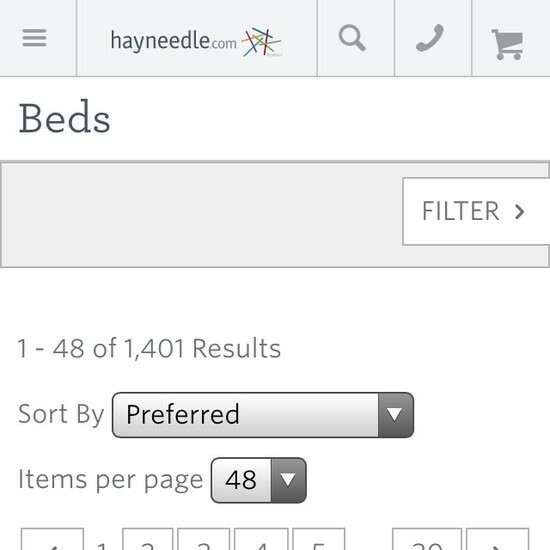 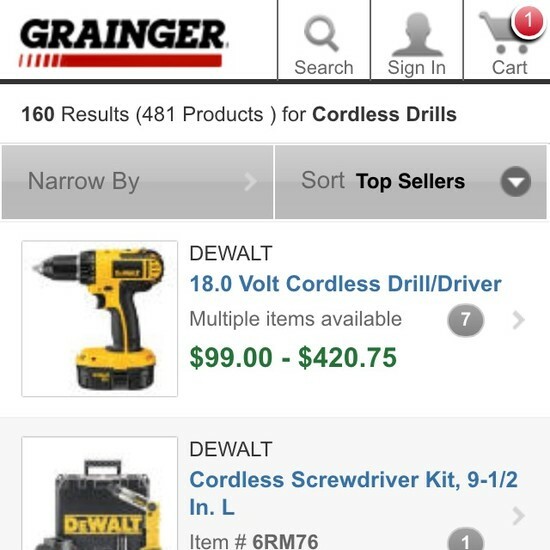 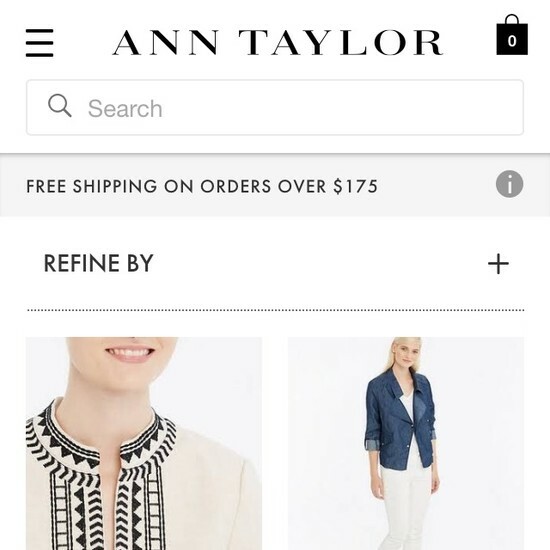 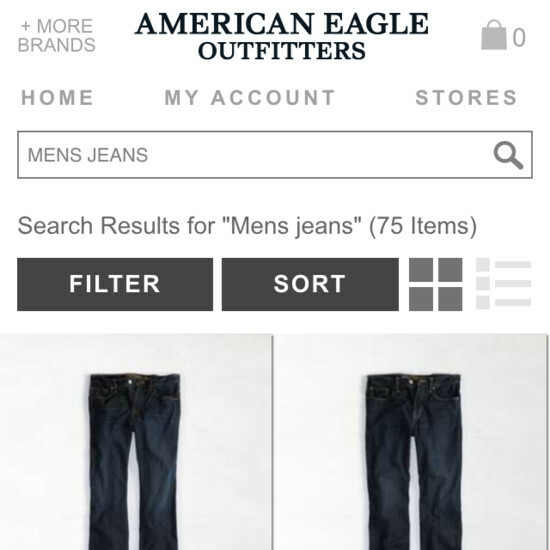 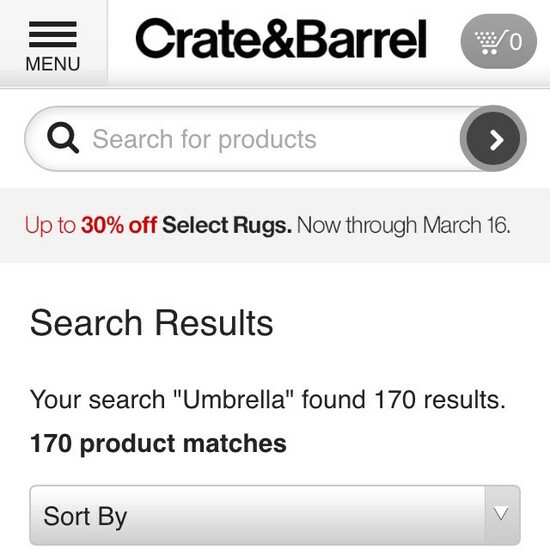 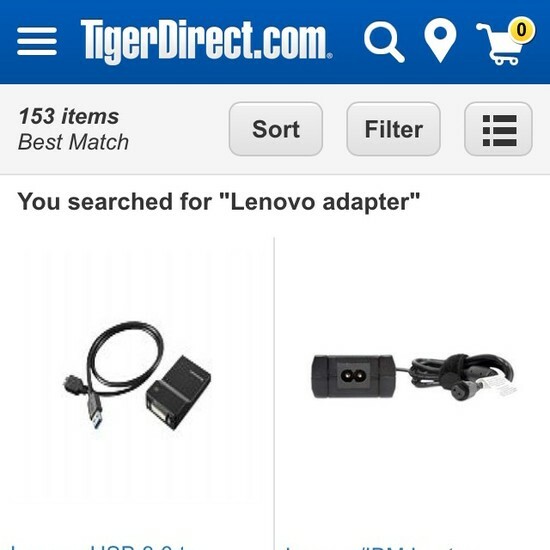 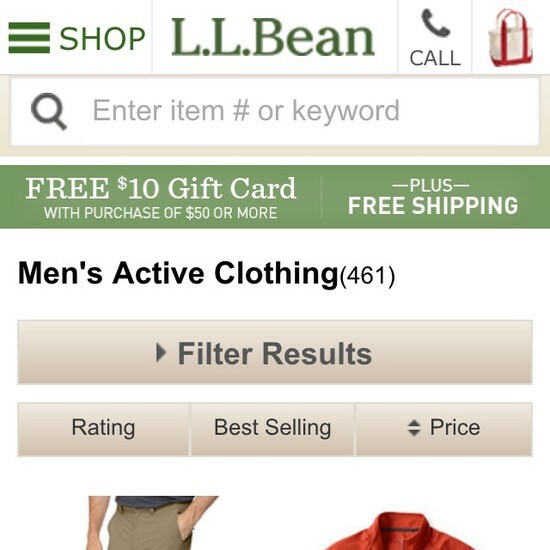 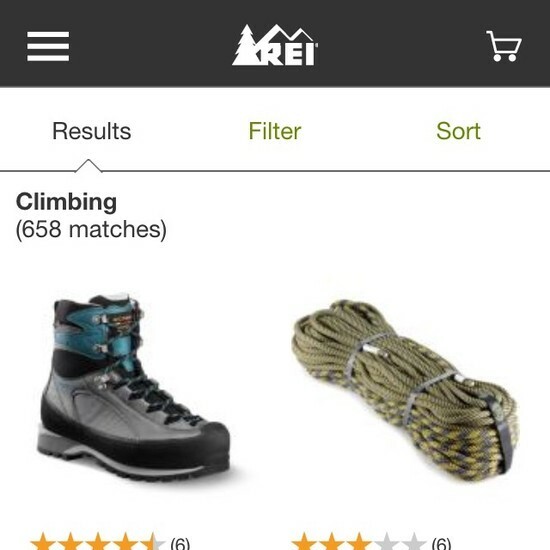 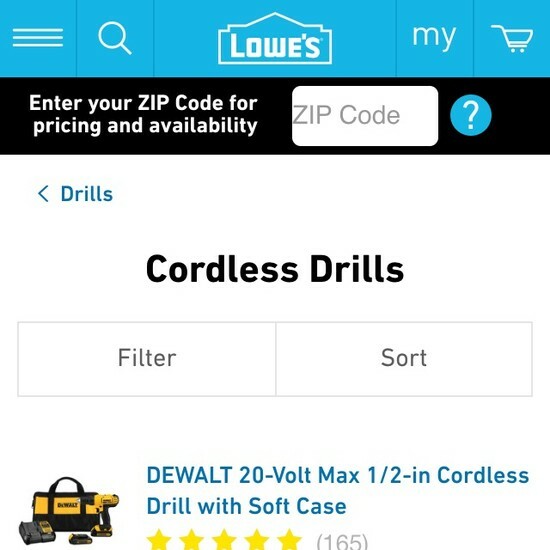 Product lists on mobile sites are a balancing act. 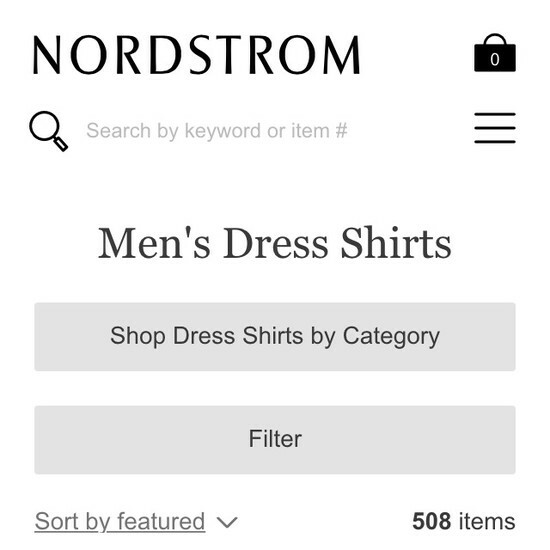 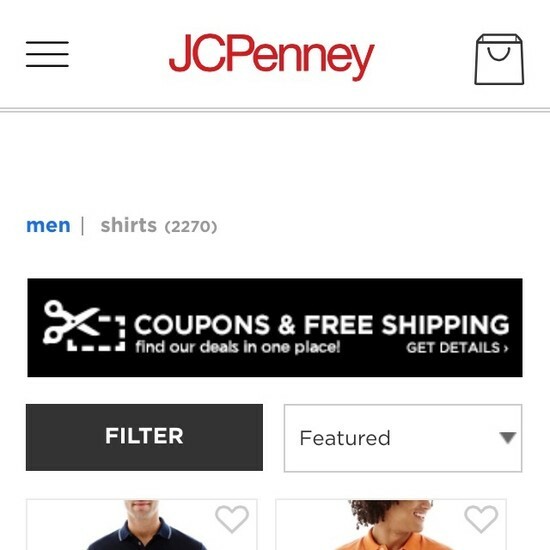 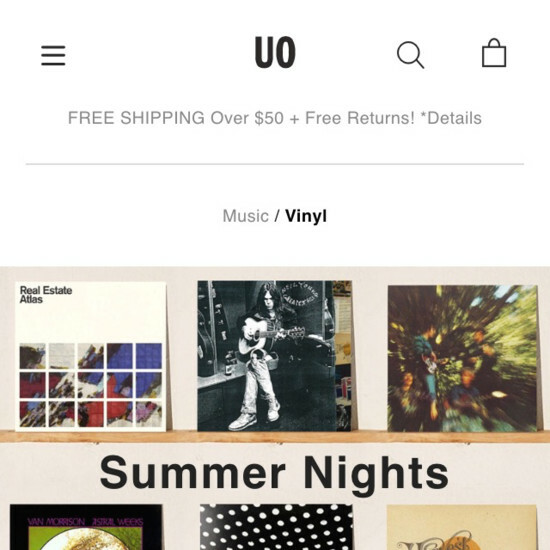 On one hand users need a considerable amount of product information in the product list to avoid needless visits to irrelevant product pages (which is generally more burdensome on mobile than on desktop). 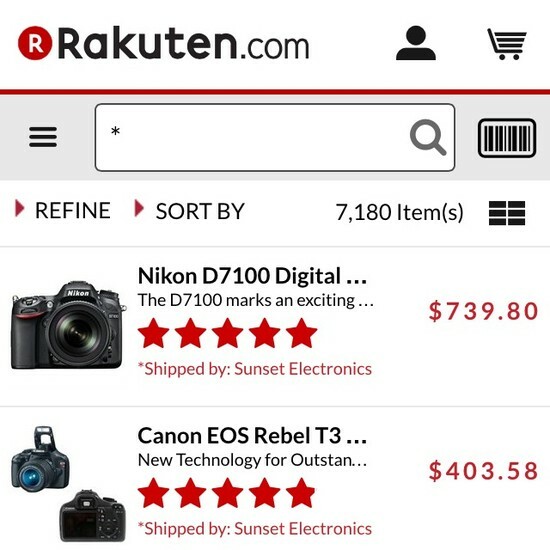 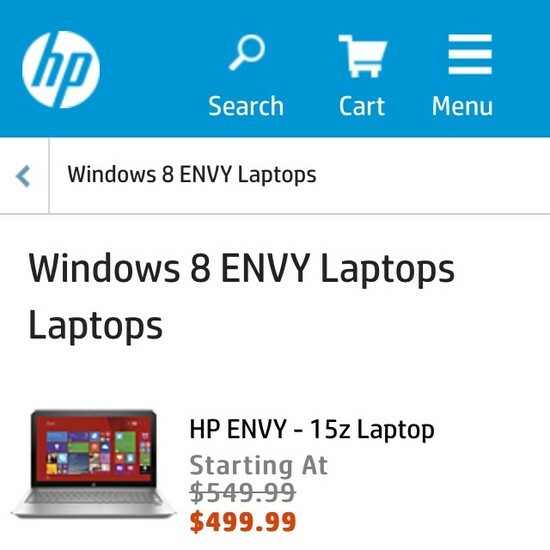 On the other hand, the limited screen size makes comparing list items challenging and even relatively short product lists are difficult to get an overview of. 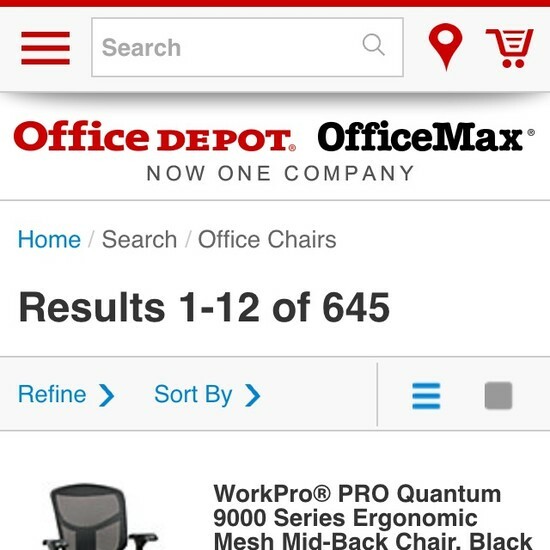 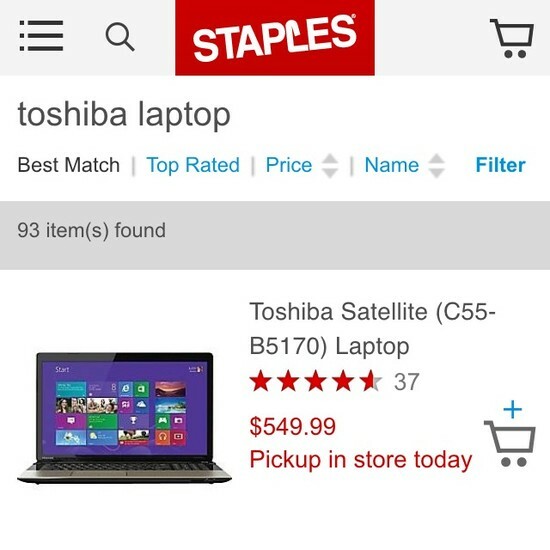 Beside these mobile Product Listing pages we’ve also benchmarked the desktop versions; see the 50 desktop Product List examples. 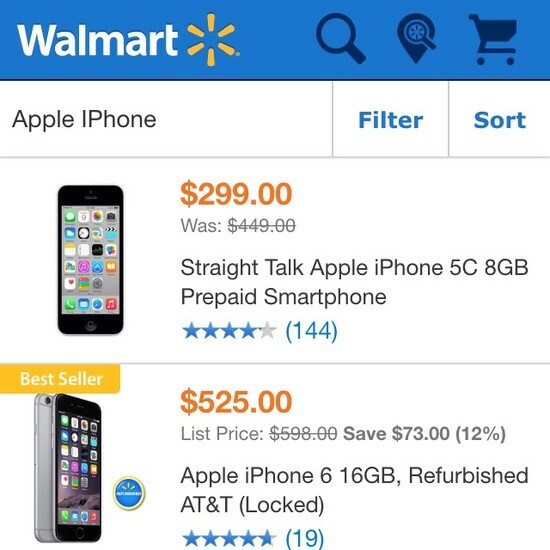 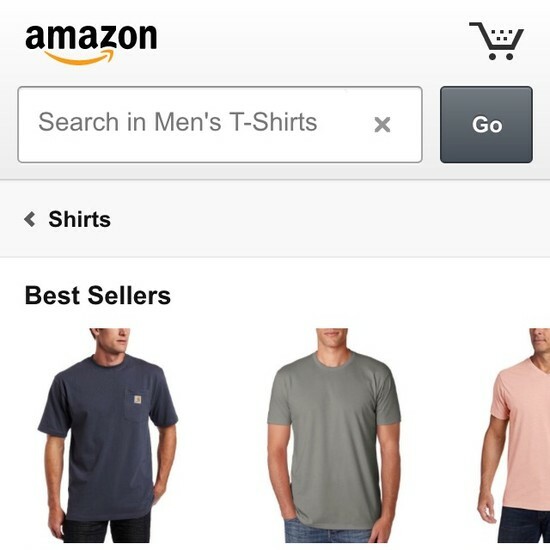 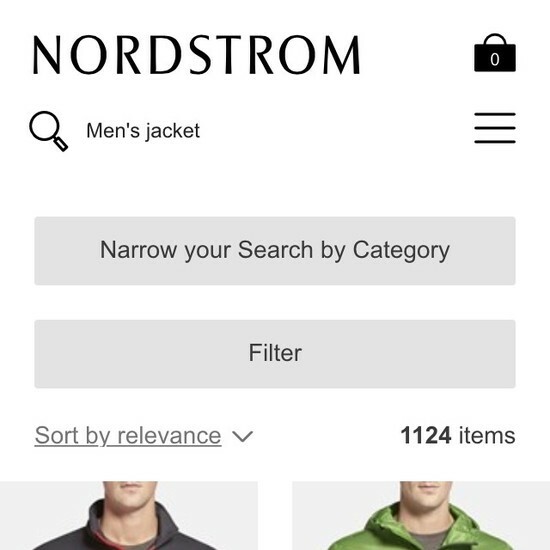 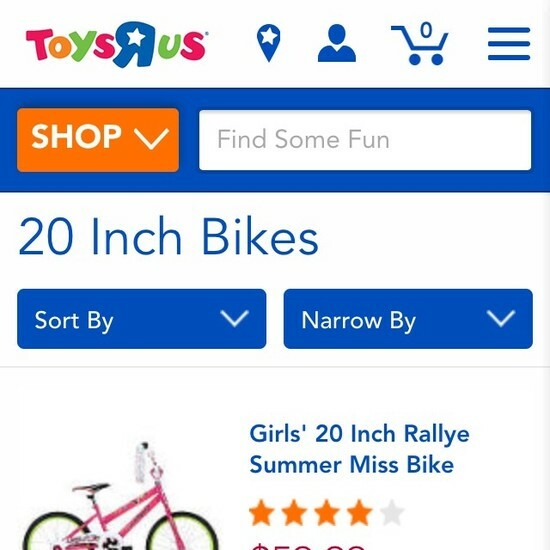 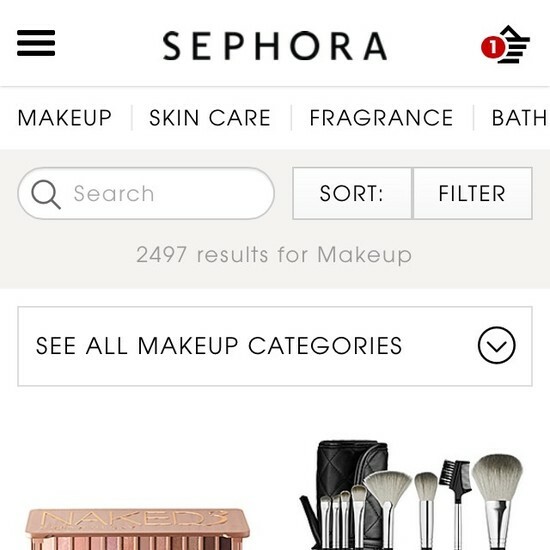 Learn More: Besides exploring the 57 mobile “Product Listing” design examples below, you may also want to read our related article “Mobile Product Lists Need Very Distinct Hit Areas”.